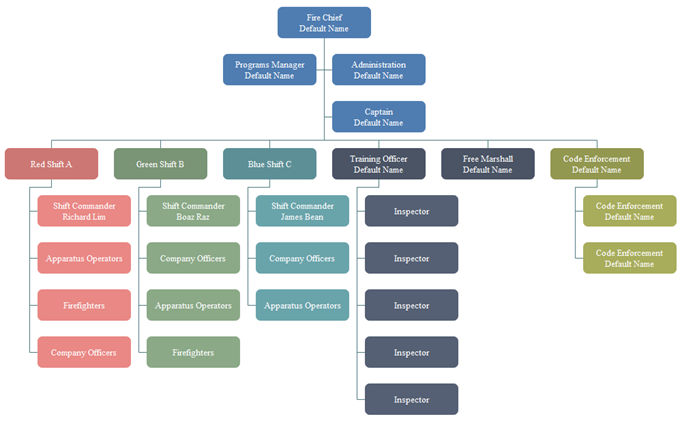 Matrix org chart has a double tunnel command system. It’s made up of functional departments and the project teams for temporary purposes. 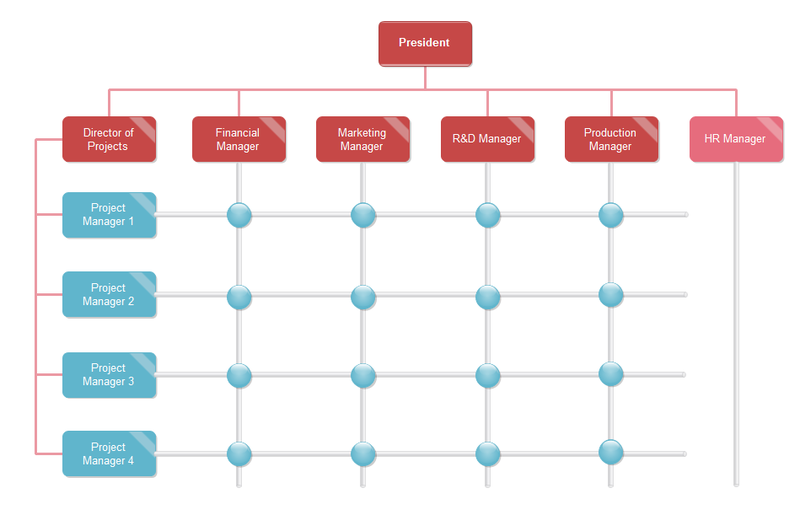 To make a quality matrix organizational chart, the easiest way is always starting from templates. 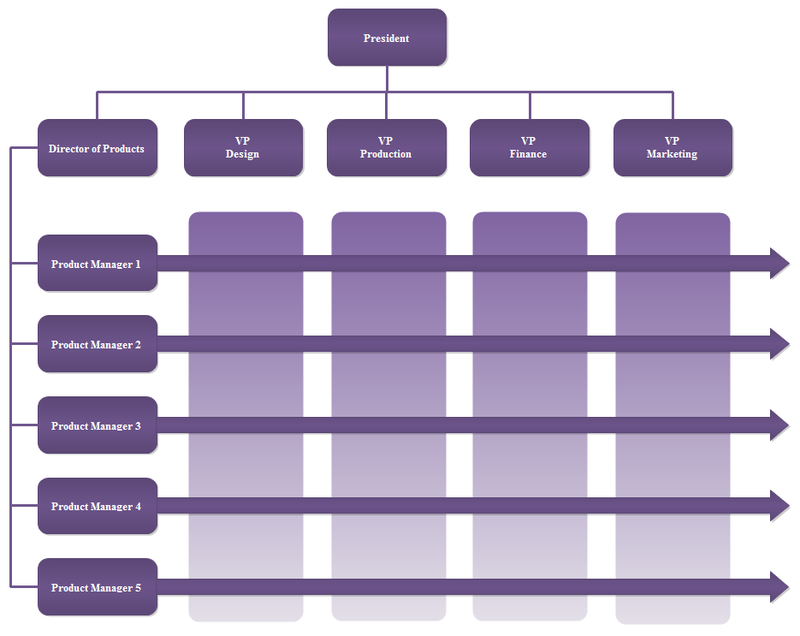 Here we will introduce some nice-looking matrix organizational chart templates from Org Chart Creator. Use our free matrix org chart templates to create and customize a matrix organizational chart for your business. 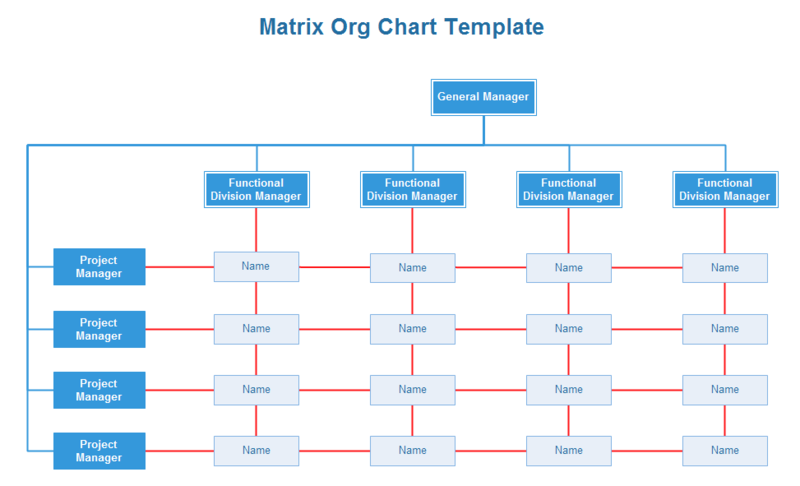 This page offers several matrix org charts with different types and designs. 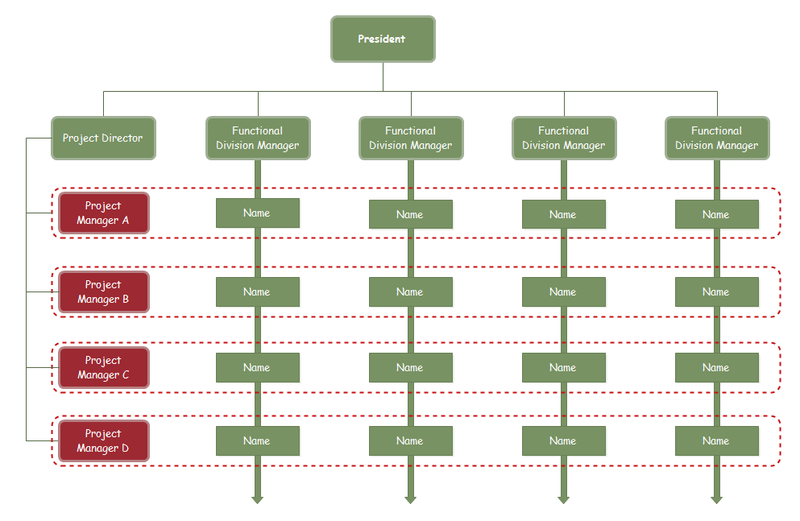 Download Org Chart Creator and you will have these templates and even better ones. 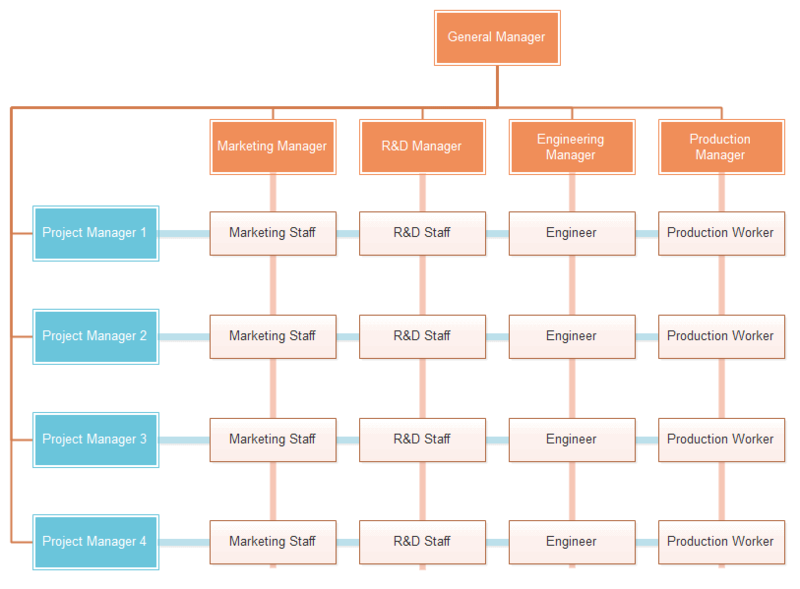 See how Org Chart Creator is great in making all kinds of org charts.